Mr. Walsh represents clients in state court, federal court, administrative actions, and internal grievance hearings. He has appeared before state and federal judges, state and federal agencies, administrative law judges, and hearing officers across Texas and in Washington, D.C. Mr. Walsh also has extensive appellate experience in both state and federal court. 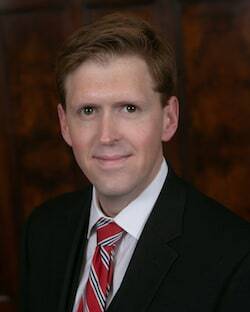 He has drafted numerous appellate briefs for intermediate courts of appeal, petitions for review and briefs on the merits for the Texas Supreme Court, and has presented oral argument before the Fifth Circuit, the Federal Circuit, and the Dallas, Austin, San Antonio, and Eastland state courts of appeal. Mr. Walsh’s practice focuses on representing workers against employers in cases involving discrimination, retaliation, unpaid wages, unpaid overtime, contract disputes, and whistleblowing actions. He represents private sector employees, as well as state and federal workers. Mr. Walsh graduated from The University of Texas School of Law with honors. During law school, Mr. Walsh was awarded a three-year endowed presidential scholarship, the Tom Hathaway Memorial Scholarship for Trial Advocacy, and the Dean’s Achievement Award for the highest grade in his Federal Courts class. He participated in the National Security Clinic, was on the Interscholastic Arbitration Team, and studied international and comparative law at University College London. During law school, Mr. Walsh completed internships at the Dallas County Public Defender’s Office and the 14th Court of Appeals in Houston. Before attending law school, Mr. Walsh graduated from The University of Texas at Austin with a bachelor’s degree in theatre. For the past five years, Super Lawyers Magazine has selected Mr. Walsh as a Texas Rising Star in employment litigation, an honor given to only the top 2.5% of attorneys in Texas. He is a member of the Texas Employment Lawyers Association, National Employment Lawyers Association, the Austin Bar Association, Austin Bar Foundation, Austin Young Lawyers Association, Texas Young Lawyers Association, and a lifetime member of the Texas Exes. Hook ’em Horns! Recently, Mr. Walsh had the privilege of coaching an interscholastic mock trial team for the University of Texas School of Law. In fall 2018, his team competed at St. John’s University in New York City in a one-of-a-kind competition involving negotiation, mediation, and arbitration. Mr. Walsh is licensed to practice law in Texas and the District of Columbia. He is admitted to practice in the Northern, Eastern, and Western Federal District Courts in Texas, the Fifth Circuit Court of Appeals, the Federal Circuit Court of Appeals, and all Texas state courts.